Our villa is comfortably furnished offering a relaxed atmosphere in which to enjoy your stay; it is fully equipped with everything you need for an easy and enjoyable self catering holiday. From the double bedroom upstairs, with fully fitted wardrobes, you can step out onto the spacious upper terrace. From here you can enjoy extensive, breathtaking sea views across the 'Bocaina Straits' with Lanzarote in the distance, not to mention the spectacular mountainous volcanic landscape. Lounge with Sony DVD Home cinema system, MP3 input, and TV /PC monitor. Patio doors leading to South facing patio area. Upstairs double bedroom, fitted wardrobes and access to outside patio area and views over the Bocaina Straits. Downstairs bedroom with spacious fitted wardrobes and access to north facing patio area. Looking east from the upstairs patio area, the sun rises behind these mountains, casting shadows and colours across the landscape. The villa is also equipped with two modern bathrooms, one on each floor with WC, sink, shaver points and bidets. "Just back from a week here and can't wait to return. 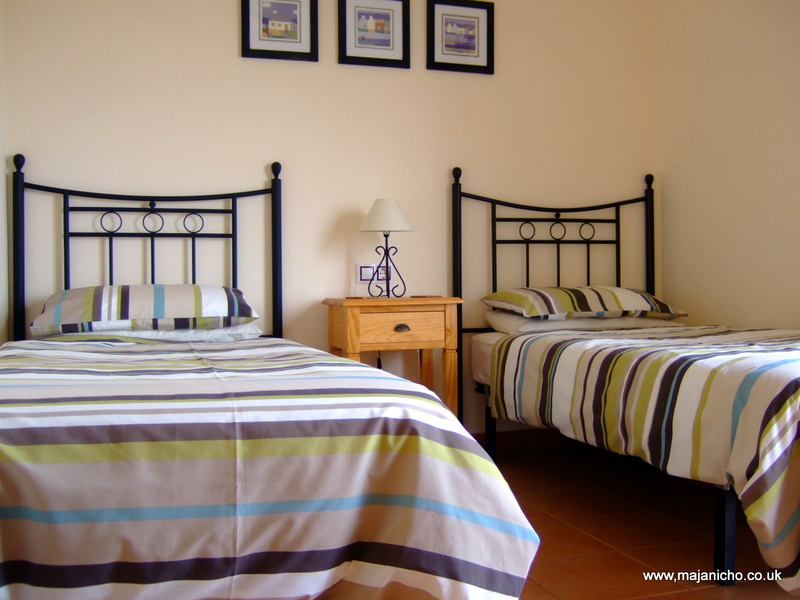 The villa is well equipped and in excellent condition. Located in a residential/holiday villa complex on the north coast near Majanichio, it is peaceful and felt completely secure (as a lone female, this was important). A lot of thought has gone into stocking the villa with outdoor equipment that may come in handy (snorkels, tennis rackets etc). The DVD library features a good range of films as an alternative to the local tv channels (which are not up to much). Communal pool and tennis courts and an elevated viewing location within a few minutes walk of the front door - the view from here is great, especially at sunset. The nearest town (5-10 mins) is Lajares, with a supermarket, pharmacy and a range of places to eat. Craft market on a Saturday morning is worth a visit. You'll need a hire car but driving around is easy - majority of roads are well sign posted. 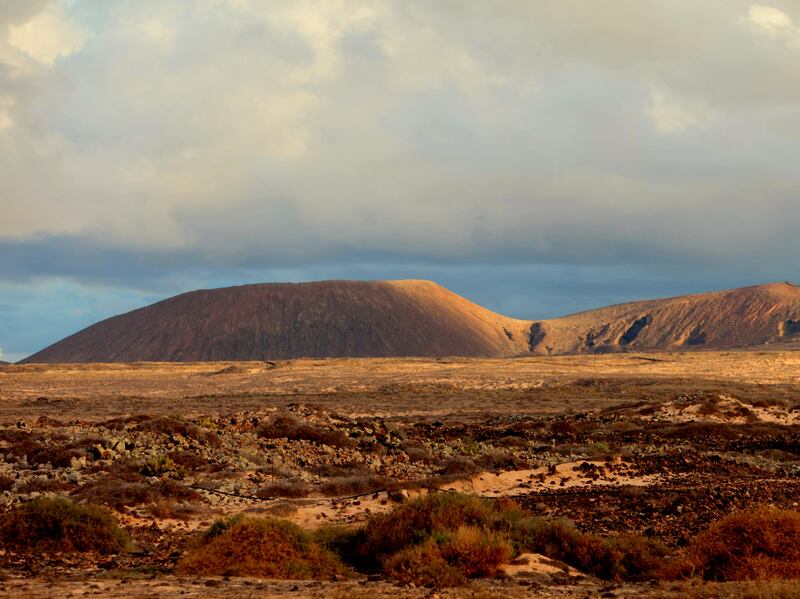 Approx 15-20 mins to El Cotillo to the west or Corralejo to the east - through great landscapes. The beach to the north of the villa, less than 5 minutes along a dirt track from Majanichio, is awesome. Say 'yes' to the damage waiver on the hire car; well worth it for peace of mind as you go along some of the more bumpier dirt tracks."